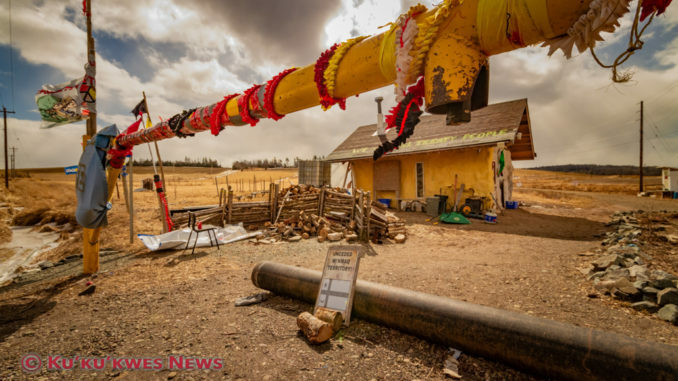 A Nova Scotia Supreme Court judge has granted the Alton Natural Gas Storage Project company a temporary injunction against a Mi’kmaw water protector and his supporters currently occupying the entrance to the company’s property in Fort Ellis, N.S. 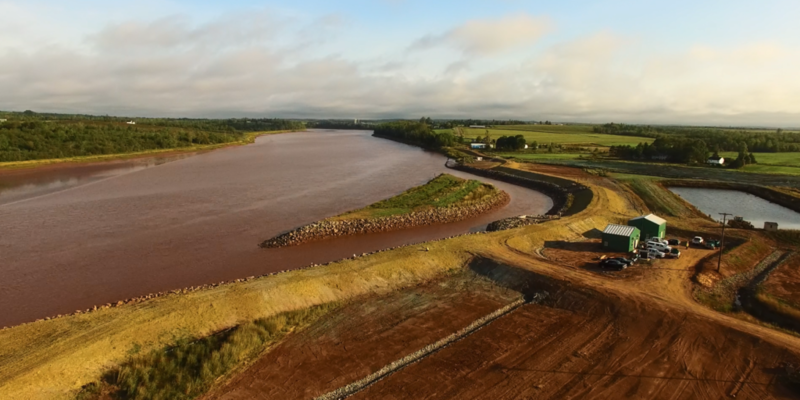 Justice Gerald Moir has ordered that Dale Poulette, Rachael Greenland-Smith and others at the site cannot block access to Alton Gas employees and contractors so the company can make repairs to its facilities located along the Shubenacadie riverbank near Stewiake, N.S. “Perhaps the situation will change when the application for a final injunction is heard. 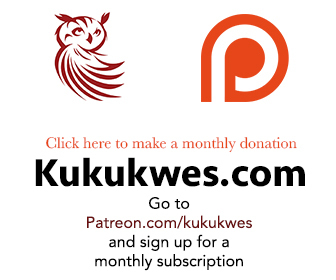 But for the present motion, there is no evidence to support the occupation of Fort Ellis lands by Mr. Poulette, Ms. Greenland-Smith or others,” Justice Moir said in court on Monday. Poulette and Greenland-Smith hugged each other following Justice Moir’s decision in a Halifax courtroom Monday. Outside of the courtroom, Poulette ignored reporters and stepped into the elevator. Greenland-Smith also didn’t respond to requests for comment. 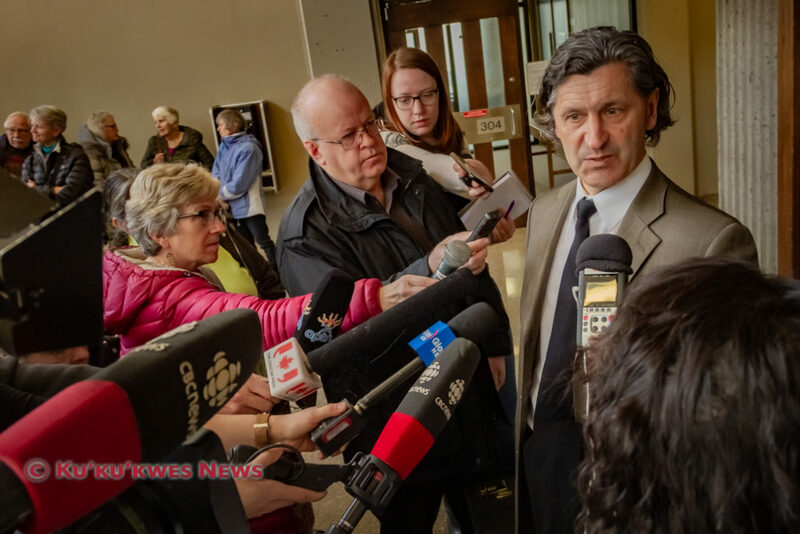 “We’re disappointed but the court has spoken,” James Gunvalden-Klaassen, the lawyer for both Poulette and Greenland-Smith, said following the court decision. “We’ll take it from here,” he added. Following the court ruling, supporters for Poulette and Greenland-Smith gathered outside of the law courts to take part in a rally. The group then marched to the Nova Scotia legislature to protest their disappointment in Justice Moir’s decision. Alton Natural Gas Storage Project is a subsidiary of Altagas, an energy company based in Alberta. The company has proposed to store natural gas in underground salt caverns in Middle Stewiake. In order to create the underground caverns, the company wants to flush out and dissolve the salt by using water from the nearby Shubenacadie River. The salt water mixture, or brine, would be stored in a holding pond located along the riverbank. The company would then release the brine into the tidal river that would carry it out to the Bay of Fundy. 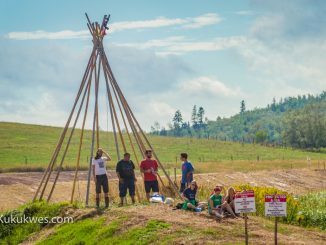 Opponents to the project, including members of the Sipekne’katik band living in the nearby Mi’kmaw community of Indian Brook First Nation, have been actively protesting against the project at the Alton site in Fort Ellis since 2014. In the fall of 2016, Poulette, a member of the Eskasoni First Nation in Cape Breton, joined the protest and decided to permanently camp at the small shack that was built along the riverbank. In 2017, Poulette and others moved their occupation to the company’s entrance at Riverside Road. They built a straw bale house behind the gate and planted a garden on the driveway that leads to the company’s facilities. Poulette has been living at the straw bale house along with his partner, Greenland-Smith. Alton filed an injunction against Poulette and Greenland-Smith in February because the company wants to gain access to facilities on the property. It also filed a temporary injunction in order to move heavy equipment to make repairs to its facilities following a power failure that happened in January. According to court documents filed, Poulette told an employee, Rob Turner, that the company would need to get a court injunction in order to gain access to the driveway. “Using violently obscene language, Mr. Poulette told Alton to get an injunction. He ordered Alton’s people off the property and he made threats of violence,” Justice Moir said in court. The judge also referred to the video of the encounter that Poulette made and posted it on websites, YouTube and Facebook. “Mr. Turner attempted to be diplomatic and Mr. Poulette’s tone and words were menacing and obscene,” Justice Moir said about the encounter. During the hearing for the temporary injunction held on Mar. 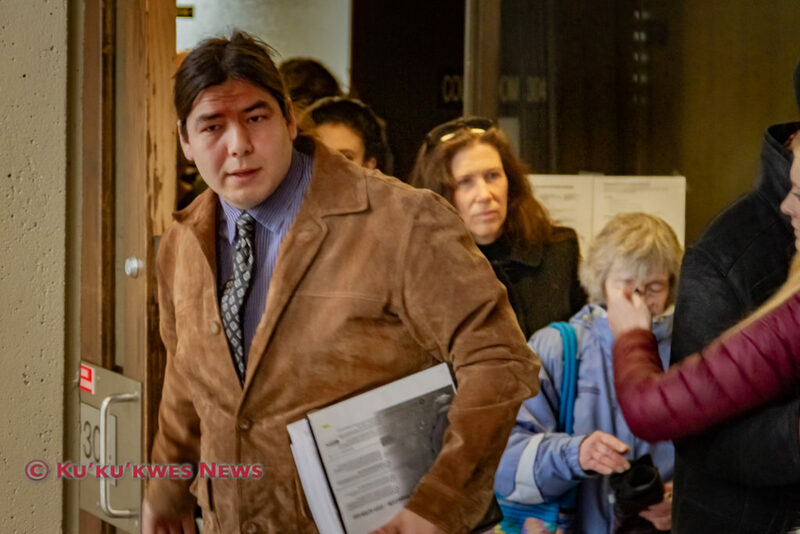 12, Poulette’s lawyer, James Gunvaldsen-Klaassen, argued that Poulette has Aboriginal and treaty rights to occupy the land owned by the company in order to protect the river. “No doubt, the right to fish demonstrated by Donald Marshall, Jr. extends to the Shubenacadie River,” Justice Moir said. 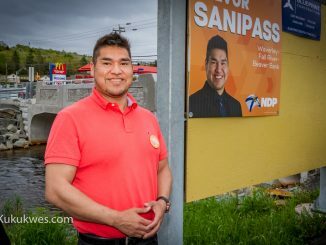 “However, I see no support for Mr. Poulette’s claim about land rights,” he added. In 1999, the Supreme Court of Canada overturned Donald Marshall, Jr.’s fisheries violations when it ruled he had a treaty right to fish for a moderate livelihood under the Peace and Friendship treaties of 1760-61 signed between the Mi’kmaq and the British Crown. “The main part of the injunction should be clarified to show that Mr. Poulette, Ms. Greenland-Smith and others and their belongings are confined to the area permitted by Alton,” Justice Moir said. However, Justice Moir ruled he was not prepared to extend the temporary injunction to crown lands in the area. In a statement released Monday afternoon, Alton stated it welcomed Justice Moir’s decision to grant the temporary injunction. 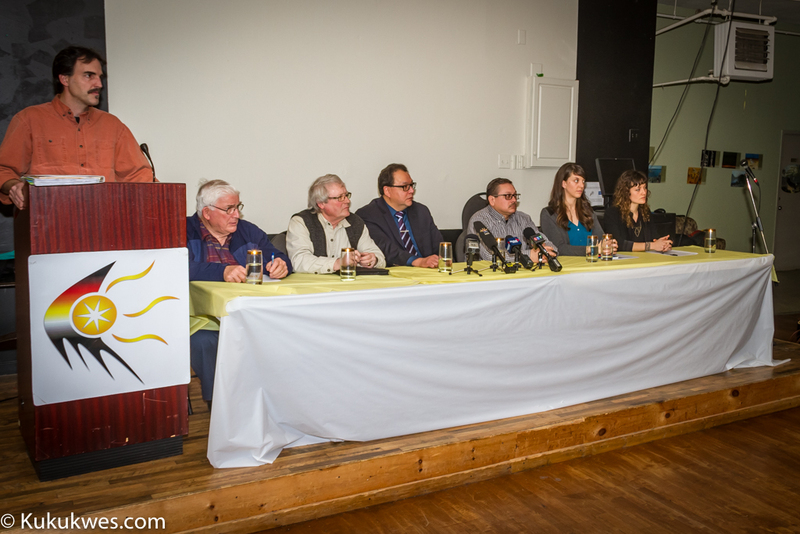 “With this decision in hand, we are currently determining our immediate next steps. The safety of the site is our focus, and our intention is to access the site as soon as practicable to repair damaged electrical systems and equipment,” the company wrote. Another court date has been set for Apr. 4 in Halifax to deal with matters involving Alton’s permanent injunction application against Poulette, Greenland-Smith and their supporters.